I have been very slack with my blog lately, which I could blame on all kinds of excuses such as being too tired or too busy, but honestly I think I was lacking inspiration. I follow a lot of other awesome wine friends on Instagram and different social networking sites, and as amazing and fun as these guys are, I think I was beginning to feel disheartened by the obvious differences in the level of knowledge these wine aficionados have compared to my own. Don’t get me wrong – I know a few fun facts about wine that I could bust out at a dinner party to sound sophisticated, but these guys are crazy knowledgeable about regions, growing styles, James Halliday points rating, tasting notes – all kinds of wine wisdom! But I have now realised that maybe that’s not such a bad thing! Out of all of the people in the world who drink wine, surely not all of them know how to tell which particular region and climate different grapes originate from, or the method that goes into making a wine variety, or what the crap a tannin actually is!! So my epiphany was – what if this blog was about drinking wine as a normal person? 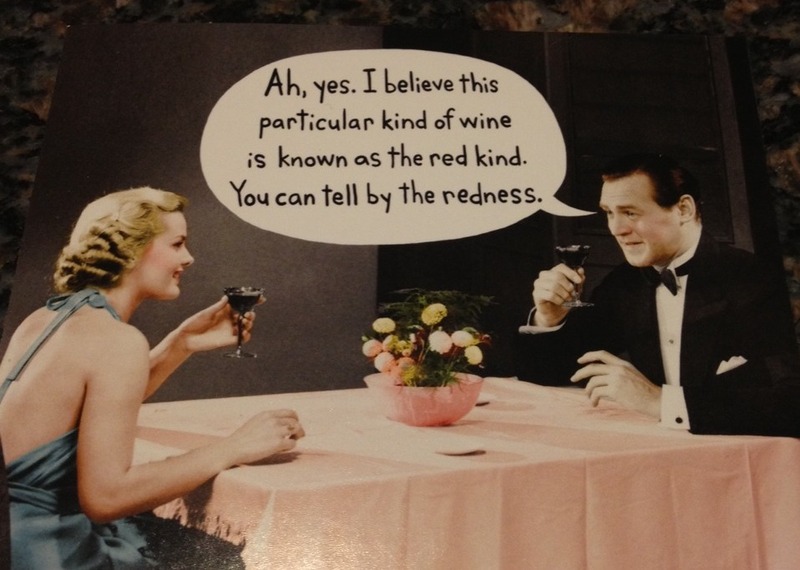 I’m not going to try and impress you with my ability to distinguish the flavours in a wine (grapes – duh!) or my wine swirling techniques to bring out the aromas of a glass of wine (again, grapes!). Let me impress you with the number of glasses I can drink before my parents can tell I’m tipsy, or the mad rap skills that surface in that magical window between my first and second bottle. Or my ability to simultaneously drink wine and not wear pants. It’s a true skill. I’m just a normal person who likes to drink wine. Often. I live in the Yarra Valley, so have an incredible selection of local wineries at my fingertips. I’ve spent my last few weekends winery hopping around the Yarra Valley with my family in my dad’s Kombi van. This just seems like a no-brainer that I can’t believe I didn’t think of sooner! Now, I will be winery hopping with a purpose other than getting a little Sunday buzz on! Let me be your eyes into the Yarra Valley! Let me give you recommendations, insights and advice from the perspective of a normal wine drinker. Let me drink wine for you! Really, I’m happy to! And I promise I’ll wear pants. Thank you lovely! I’m excited now to get writing about wine in a normal way and still enjoy it! I think being too serious was starting to take the fun out of it for me, so now I’ve got a better perspective! I’m looking forward to reading more of your blog too, I’ve taken too much time away from the blog world!